Our high-precision performance helps make this high-precision performance possible. 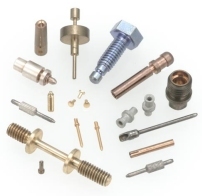 American Micro's unique capabilities were developed to meet the most demanding manufacturing requirements, like those found in the aerospace industry.� Whether machining Inconel jet engine fan blades, aircraft braking system components, hydraulic fittings or manufacturing mil-spec electrical connectors and electronic components, American Micro's unparalleled experience in high-precision machining technologies makes all the difference. 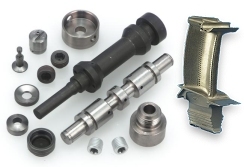 We have invested heavily in specialized CNC and Swiss machining technology that allows us to easily process trial runs, customized short runs or high volume production runs.� Our engineering team is familiar with a variety of military specifications and our years of aerospace parts manufacturing experience allows us to apply the best machining methodologies, whether the goal is reducing cost, enhancing performance or both.